Throughout the years, hearing loss has been unfairly associated with advanced age and weakness. Due to this well-known fact, many people who have suffered from a hearing impairment have often experienced rejection, isolation, and criticism. At Jacksonville Speech and Hearing Center, our goal is simple – to assist those suffering from hearing loss and to overcome these stigmas. We work to find solutions that work for each individual person and each financial situation. Did you know hearing aids are more sophisticated than simply making noise louder? 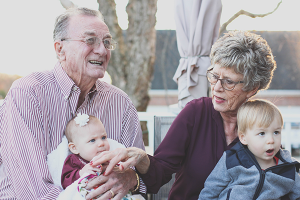 Not only are there different types of hearing aids for specific types of hearing loss, there are also many styles to compliment lifestyle concerns. Learn how our Audiologists will help you to find high quality hearing aids. Our audiologists will work with you to select the best hearing aid for your needs. The audiologist will choose the most appropriate amplifier and circuitry for your particular hearing aid needs while keeping in mind any aesthetic and lifestyle concerns you may have. In the past few years, advances in hearing aids have been making a significant difference in the lives of millions. The hearing aids of today are highly effective and sophisticated wearable electronics that help those with hearing loss stay actively connected. If you have further questions about what type of hearing aids or services we offer, or to schedule an appointment with one of our audiologists, please reach out to us online or call (904) 355-3403‎. For a portion of her life, Susan Bence wore only one hearing aid, but after the birth of her third child, her hearing loss increased significantly. Needing to be able to hear to find work, Susan sought help. The assistance of two organizations paired with her enduring tenacity made all the difference. After calling several places, Susan discovered the Florida Department of Education. She was directed to Vocational Rehabilitation (VR). They understood she would need a second hearing aid to be able to work and offered to help. “Jacksonville Speech & Hearing Center was willing to accept the Vocational Rehabilitation insurance payment,” said Susan “And even better, I was treated by audiologist Fenja Mattson She’s wonderful.” Mattson, a long-time audiologist at Speech & Hearing Center, also suffers from hearing loss and wears hearing aids. Armed with new hearing aids, Susan now works for One Call Care Management. “This experience has made me want to be closer to the deaf community and help others who need assistance,” she adds. Florida’s Vocational Rehabilitation program is committed to helping people with disabilities become part of America’s workforce. Our employer-focused website, FLJobConnections.com, allows businesses to search at no charge for employees who are ready to go to work, as well as to post available jobs. VR has 111 offices across Florida, and last year helped 6,071 Floridians with significant disabilities find or keep a job. For more information about VR and its services, call (800) 451-4327 or visit link: rehabworks.org. A variety of hearing aid manufacturers, with attention to the latest research and performance studies for the style of hearing aid best suited for each individual’s hearing loss. Hearing aid fittings include periodic adjustments and programming, verification testing, and hands-on support to ensure maximum benefit from amplification. All hearing aids have a 30-day trial period. All hearing aids come with full warranty coverage. Repair services include minor in-office and send out manufacturer-based options. We also offer custom fit noise protection, waterproof ear molds, IPOD ear molds, and can order a wide variety of other assistive listening devices. Our audiologists will select the best style of hearing aid for the specific hearing loss you have, keeping in mind any cosmetic and lifestyle concerns you may have. What goes inside the hearing aid is also very important in the selection of the hearing aid. The audiologist can choose the most appropriate amplifier and circuitry for your particular hearing aid needs. Click to learn more on our website. Trey, a Jacksonville Speech & Hearing Center patient for over 20 years, shares his experience of growing up with hearing loss and explains how digital hearing aids have improved his social life and education. Trey: My name is Trey and I am a client of the Jacksonville Speech & Hearing Center. I’ve been going there since I was 2 years old and I’m 26 years old now. I’ve gone through their speech therapy, I’ve gotten hearing aids from them and they are all excellent. I enjoy going there. Dr. Mattson, my current audiologist at the Jacksonville Speech & Hearing Center, is excellent. She actually had given me my most current set of hearing aids. They work excellent, the hearing aids I have now. With this (Bluetooth) I can answer the phone through that. Q: Trey explains how hearing aid technology helped him as a student. Trey: The first set of hearing aids I had were analog, and now the ones I have are digital. The digital ones seem to be a little bit better. Now, with these hearing aids, they actually have Bluetooth I can connect to my cellphone or a microphone. With the microphone, if I’m in school, the teacher or the instructor can wear the microphone, and it helps me to hear the instructor better. There is a device that I can connect to the TV so I can hear the TV better. If anyone has that type of hearing loss, it’s very helpful. Q: Trey explains how speech therapy and hearing aids have improved his life. Trey: When I first started going there I was going through speech therapy. It has really helped me out. Now I can hear better, I can speak better, and with the hearing aids they gave me, I can hear better. As the years went on, I can speak better. That really helped me out quite a bit. Q: A father shares his thoughts on parenting a child with hearing loss. Trey’s Father: Trey has been going to the Jacksonville Speech & Hearing Center since he was 2 years old. A lot of you may be asking why we decided to take him to speech and hearing. We noticed in pre-kindergarten and kindergarten, there was not a lot of attentiveness. He wasn’t paying attention and even though we would speak to him, he wouldn’t respond. We decided to go on and have his hearing tested. Obviously as a parent what you need to do is watch your child, make sure that when you are speaking to them they are actually responding to you, and they are responding not only with their eyes, but with their ears. They are turning and those kinds of things. It is not a stigmatism to take your child to get hearing aids, it’s no different than taking them to get glasses. You need to pay attention to your child at an early age to make sure they get the attention and the help they need early on because it not only affects their hearing, it affects their speech. Their speech, obviously, is everything to them, especially when they get older, With Trey, we just noticed it early on and as a parent, you need to stay focused on your child. Q: How having hearing tests and services on-site under one building provides convenience. Trey: That is very helpful to me because that way I don’t have to drive to multiple places to get the testing done. They have their own closed booth for hearing tests and that is very helpful to me because I don’t like having to go all over town just to get that done. Q: What digital hearing aid technology is important. Trey: With digital technology, they can take the hearing aid and connect them to the computer to fine tune the hearing aids to match someone’s hearing loss a lot better than the analog ones. The analog ones take a lot of work to fine tune them but with the digital ones, it is a lot faster, better, and more accurate. Q: Young people and hearing aids. Trey: If someone has hearing aids, it is good to always be positive and not let other people bother you. Having hearing aids is just like having glasses. People wear glasses, some wear hearing aids, and there is nothing wrong with that. Q: Having your ear mold and technicians on-site at JSHC provides convenience. Trey: It is always good to have a technician right there at the Jacksonville Speech & Hearing Center because then you don’t have to go all over town to have it done. You don’t necessarily need to see your audiologist for your ear mold, but since there is always a technician available at the Jacksonville Speech & Hearing Center, if there is something wrong with the ear mold or the tubing, you can just have them fix it, sometimes in just 15 minutes. If you have further questions about our audiologists, services, events or volunteer opportunities, please reach out to us online or call (904) 355-3403‎. If you would like to WATCH Trey’s interview, visit our YouTube channel. Why Buy Hearing Aids from Jacksonville Speech & Hearing Center? If you or your loved one is in the market for hearing aids, rest assured the Jacksonville Speech & Hearing Center is your best resource for hearing aids in North Florida. Today’s hearing aids are highly programmable with customized settings for your individual hearing needs. We have licensed doctoral level audiologists to assist you, a wide variety of hearing aid types and styles and we offer ongoing support and assistance since getting hearing aids is just the first step in the process of improved hearing. Read on to learn the many other reasons why to buy Hearing Aids from Jacksonville Speech & Hearing Center. ● We offer a broad range of hearing aids including a variety of both In-The-Ear and Behind-The-Ear styles. ● JSHC has qualified and experienced audiologists on staff. Our audiologists will select the best style of hearing aid for the specific hearing loss you have, keeping in mind any cosmetic and lifestyle concerns you may have. ● We treat our patients with care, and not just as customers. At the Jacksonville Speech & Hearing Center, we put you and your family first. We know that treatment for speech, language or hearing disorders is not just about the individual; it is about enabling families to connect, communicate and care for one another. ● We accept all major insurance plans. ● We offer many hearing aid services such as adjustments and repairs. ● All hearing aids have a 30-day trial period. Want to learn more? Check out our latest patient testimonial on YouTube: Amy R. shares insight into being diagnosed with hearing loss, her experience getting hearing aids and helpful tips for living with hearing aids. CLICK HERE TO VIEW.